People sometimes ask me what how my research will help society. This question is familiar to physicists, especially those of us whose research is connected to every-day life only… shall we say…tenuously. And of course, this is a fair question from the layman; tax dollars support most of our work. Still, it turns out there are philosophers of practical ethics who think a few of the academic questions physicists study could have tremendous moral implications, and in fact might drive key decisions we all make each day. Oxford philosopher Nick Bostrom has in particular written about the idea of “astronomical waste“. As is well known to physicists, the universe has a finite, ever-dwindling supply of negentropy, i.e. the difference between our current low-entropy state and the bleak maximal entropy state that lies in our far future. And just about everything we might value is ultimately powered by it. As we speak (or blog), the stupendously vast majority of negentropy usage is directed toward rather uninspiring ends, like illuminating distant planets no one will ever see. These resources can probably be put to better use. Bostrom points out that, assuming we don’t destroy ourselves, our descendants likely will one day spread through the universe. Delaying our colonization of the Virgo Supercluster by one second forgoes about human life-years. Each year, on average, an entire galaxy—with its billions of stars—is slipping outside of our cosmological event horizon, forever separating it from Earth-originating life. Maybe we should get on with it? But the careful reader will note that not everyone believes the supply of negentropy is well understood or even necessarily fixed, especially given the open questions in general relativity, cosmology, quantum mechanics, and (recently) black holes. Changes in our understanding of these and other issues could have deep implications for the future. And, as we shall see, for what we do tomorrow. On the other side of the pond, two young investment analysts at Bridgewater Associates got interested in giving some of their new disposable income to charity. Naturally, they wanted to get something for their investment, and so they went looking for information about what charity would get them the most bang for their buck. But it turned out that not too many people in the philanthropic world seemed to have many good answer. A casual observer would even be forgiven for thinking that nobody really cared about what was actually getting done with the quarter trillion donated annually to charity. And this is no small matter; as measured by just about any metric you choose—lives saved, seals unclubbed, children dewormed—charities vary by many orders of magnitude in efficiency. This prompted them to start GiveWell, now considered by many esteemed commentators to be the premier charity evaluator. One such commentator is Princeton philosopher Peter Singer, who proposed the famous thought experiment of the drowning child. Singer is also actively involved with a larger movement that these days goes by the name “Effective Altruism”. It’s founding question: If one wants to accomplish the most good in the world, what, precisely, should one be doing? You won’t be surprised that there is a fair amount of disagreement on the answer. But what might surprise you is how disagreement about the fundamental normative questions involved (regardless of the empirical uncertainties) leads to dramatically different recommendations for action. A first key topic is animals. Should our concern about human suffering be traded off against animal suffering? Perhaps weighted by neural mass? Are we responsible for just the animals we farm, or the untold number suffering in the wild? Given Nature’s fearsome indifference, is the average animal life even worth living? Counterintuitive results abound, like the argument that we should eat more meat because animal farming actually displaces much more wild animal suffering than it creates. Putting animals aside, we will still need to balance “suffering averted” with “flourishing created”. How many malaria deaths will we allow to preserve a Rembrandt? Very, very bad futures controlled by totalitarian regimes are conceivable; should we play it safe and blow up the sun? But the accounting for future people leads to some of the most arresting ideas. Should we care about people any less just because they will live in the far future? If their existence is contingent on our action, is it bad for them to not exist? Here, we stumble on deep issues in population ethics. Legendary Oxford philosopher Derek Parfit formulated the argument of the “repugnant conclusion”. It casts doubt on the idea that a billion rich, wealthy people living sustainably for millennia on Earth would be as ideal as you might initially think. The most extreme end of this reasoning brings us back to Bostrom, who points out that we find ourselves at a pivotal time in history. Excepting the last century, humans have existed for a million years without the ability to cause our own extinction. In probably a few hundred years—or undoubtedly in a few thousand—we will have the ability to create sustainable settlements on other worlds, greatly decreasing the chance that a calamity could wipe us out. In this cosmologically narrow time window we could conceivably extinguish our potentially intergalactic civilization through nuclear holocaust or other new technologies. 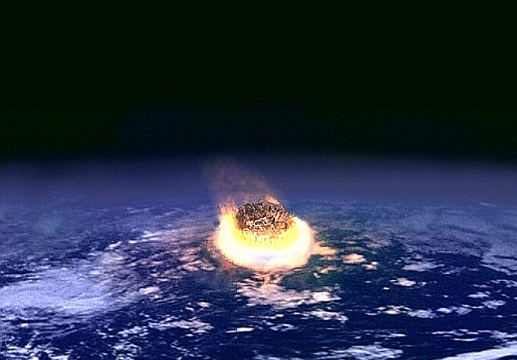 Even tiny, well-understood risks like asteroid and comet strikes (probability of extinction event: ~ per century) become seriously compelling when the value of the future is brought to bear. Indeed, between and future human lives hang in the balance, so it’s worth thinking hard about. So why are you on Facebook when you could be working on Wall Street and donating all your salary to avert disaster? Convincingly dodging this argument is harder than you might guess. And there are quite a number of smart people who bite the bullet.